“L.A. 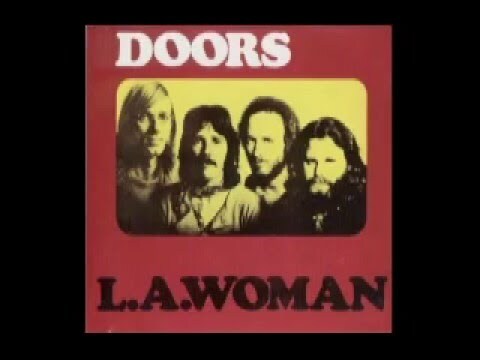 Woman” by The Doors is a perfect example of using guitar modes. The song centers on an A major chord, but uses notes from the D major scale. This produces A Mixolydian mode. A is the fifth note in the D major scale and A major is the fifth chord (V). When the fifth scale degree is the center of a piece of music, the sound is called Mixolydian mode. While D major scale patterns are used over this song, D is not the root. The root is the fifth scale degree, A. This doesn’t mean that you need to always start the scale on A. You can start anywhere you like. It just means that A sounds like the tonal center and it’s the place where you’ll hear resolution. This is also true for the notes C# and E, since they are the 3rd and 5th of the A major chord. Play right along with this song and you’ll hear the modal sound. Listen carefully to the guitar parts in “L.A. Woman” and you’ll hear this Mixolydian modal scale sound. You’ll also hear the A minor pentatonic scale. All the notes of A minor pentatonic are found in the A Mixolydian scale (D major scale), except the C natural, which is a minor third. This b3 interval adds a nice bluesy flavor to the song. Mixing minor pentatonic with Mixolydian mode is fairly common in popular styles of music including blues, country, jazz and rock. You can also use A major pentatonic. All the notes of A major pentatonic are found in the Mixolydian scale. At 4:55 in the song, the Mixolydian mode is no longer used. Instead, the instruments use primarily minor pentatonic scales and intervals. 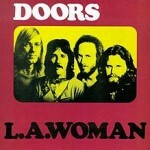 This is the section of the song where Jim Morrison sings, “Mr. Mojo Risin'” and the guitar, bass and keys follow with a riff based on the notes A and C. There’s also a bit of C and D major pentatonic over the C and D chords at 6:03. The song returns to Mixolydian mode after that. 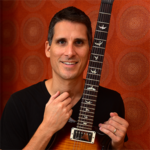 You learn more about scales, chords, progressions, modes and more in the Fretboard Theory video instruction available on this website.